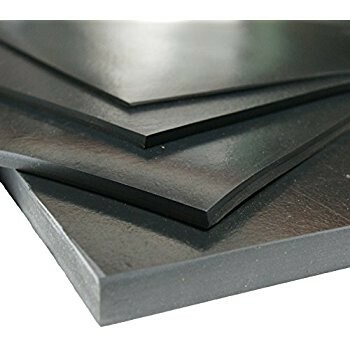 Terwa Rubber Mat With Metallic Insertion are made from neoprene and are reinforced with metallic plates (S235), one plate for 10 mm thickness and two plates for 20 mm thickness. The dimensions available can be seen in the table below. One of the most common application for these products is the propping of the beams on the structure.